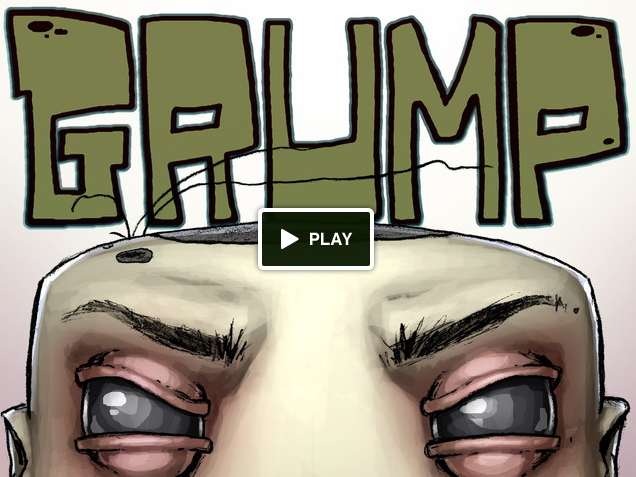 Kickstarter Spotlight: Kaiju, Unit 44, The Last West and Grump! These will normally appear on Thursdays, but I didn’t get a chance to write it up. So a couple days late, but no less awesome. Here’s some of the cool projects we’re highlighting on Kickstarter! 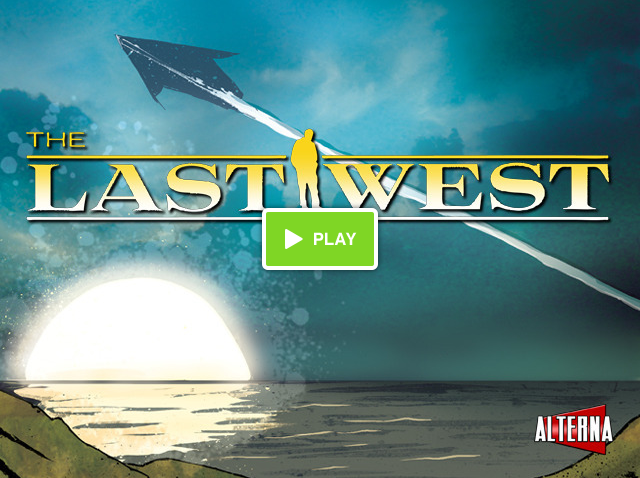 With a cool concept and a solid team behind it, how can you not support this graphic novel? From Josh Finney and fellow writer, Michael Colbert, the two are talented writers. Then they’ve got the art of Patrick McEvoy. Just go to that page and check out what’s in store. Hells yes! Best Pledge: $25 – This nets you copy of the graphic novel, but the $55 level gets you the bonus materials from the stretch goals. Risk: LOW – This is an experienced team and they layout well where they’re at and some of the issues that might come up. Some of the pledge amounts make me scratch my head, but that shouldn’t impact this at all. Unit 44 is the story of Area 51 employees, Agent Gibson and Agent Hatch, who forget to pay the rent on the facility’s off-site storage unit, and the super-secret contents are sold at public auction. When an alien invasion threatens the safety of planet Earth, Gibson and Hatch must recover an item from the locker if they hope to stop the extraterrestrial threat. To me, that sounds funny and a good read. The art looks good and the prices are right. It’s hard not to support a comic that looks like it’d be fun (something we need more of honestly). I like the idea, I like the pitch, it’s worth chipping in some cash to support these guys. Best Pledge: $25 – This gets you a physical copy of the completed project as well as the digital issues. That seems like a good deal to me. Risk: MEDIUM – I don’t know enough about these guys and this is their first project, so hopefully their math is right. The time frames given seem to be realistic, so overall I think things look pretty sound. Evan Young and Lou Lovino, guys who write stories and love comic books, want to create a new comic. It’s called The Last West and it’s about all technological and social advancement having stopped in 1945, and one man’s quest to discover why. The team had a Kickstarter project before for this, but cancelled it because situations changed. They now have publisher Alterna backing the project, which will help out a bit as far as costs (I think). The story sounds cool and it has a veteran team behind it and the art looks cool overall. Alterna does put out some decent titles, so for those who are looking for a read outside of the big two, this could be worth checking out. Best Pledge: $25 – This gets you an autographed copy of the finished product. Risk: MEDIUM – The time frame seems realistic, and with Alterna supporting it, I don’t see too much going wrong. The levels make me scratch my head as some seem a bit unrealistic. $5 for a single floppy issue seems a bit off, considering printing and shipping, that’s not much of a margin. GRUMP! The loneliest kid on your block… until now. Most neighborhoods have that one crazy house. It’s wood is rotting. Weeds are flourishing. No matter what time of day it is, it’s always in the shadows. Maybe you aren’t afraid of that house, but you definitely won’t be trick-or-treating there. Just to be safe. Grump doesn’t realize he’s alone. All he knows is that something isn’t right. It takes a series of unusual circumstances for Grump to finally meet some neighborhood kids. Now he’s about to have his world shaken up! Like it or not, Grump. You’re going outside! The concept sounds awesome. The art looks cool. How can you not support this!? Best Pledge: $1 – You get a 40 page PDF copy for just $1! There’s some awesome higher tiers, but if you’re not willing to chip in $1 for some random project, you’re crazy. Any of the higher levels sound very cool, so I don’t think you can go too wrong with any of them. Risk: LOW – This is a digital only book, so some of the extras there might be issues. But Beth Sotelo says she’s done the math for those and has planned out enough time to deliver the digital book. This one I’m feeling pretty confident on being finished on time. 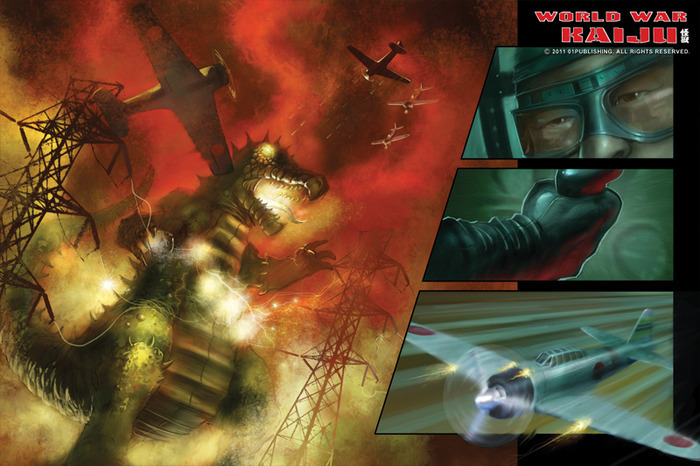 Thanks for mentioning World War Kaiju! I know it’s a longshot, but if we can get to the $25,000 stretch goal in the next 40 hours or so, the content of the book – the actual story – will DOUBLE – for no extra cost! That is, we’ll do the first two chapters of the saga instead of just one. So I hope anyone sitting on the fence about pledging or increasing their pledge to get some of our frankly-amazing incentives takes this into account. And to everyone who’s already pledged – you’re awesome. :) I can’t wait to draw the monsters and mid-century styles of WWK full-time for a while, thanks to you.